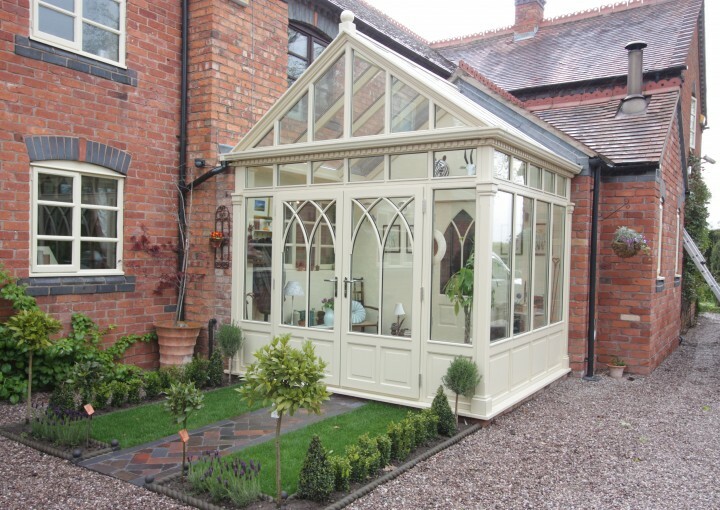 Our specialist joinery manufacturers produce traditional hardwood conservatories using time honed skills, the carpenters are able to produce anything from turned furniture to our fabulous conservatories windows and doors. We use a variety of different timber depending on both choice and requirements, these are sourced from TRADA certified replenishable supplies and include meranti, tulipwood, sapele and oak. Out timber is specially selected and then left that little bit longer to season to ensure little movement in the future. Frames are manufactured where possible from Engineered Grade A West African Hardwood Sapele or Preservative Treated Engineered Clear European Redwood. Frames are designed and tested to meet both the requirements of BS6375 Part 1:1983 (for air permeability, water tightness and also wind resistance) and BS6375 Part 2:1987 (for Operation and Strength). Window sashes have espagnolette locking with night vent position and friction hinges as standard. Factory Sprayed with a microporous “Teknos” coating, available in a choice of colours or stains. 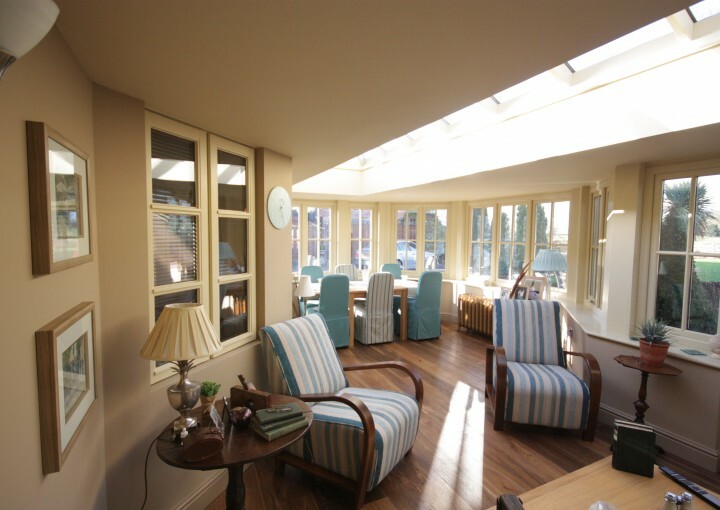 All frames are designed to accommodate 24mm double-glazed units. Its an unfortunate fact that we have to take very seriously the threat of break ins into conservatories.Today we use conservatories as 2nd lounges, dining rooms and we often have equipment such as TVs, Hifis, computers as well as other valuables.Conservatories to be honest were always seen as the easy option for a burgular… NOT ANY MORE… all our conservatories feature the following standard security features. All glass is glazed from with silicone beads ensuring the glass cannot be easily removed. Our requirements have changed, no longer is a conservatory a room that we accept is hot in the summer and cold in the winter. Todays conservatory featuring Smart Glass a revolutionary glass that keeps a south facing conservatory cool in the summer, reducing fading of furniture by almost 90%. 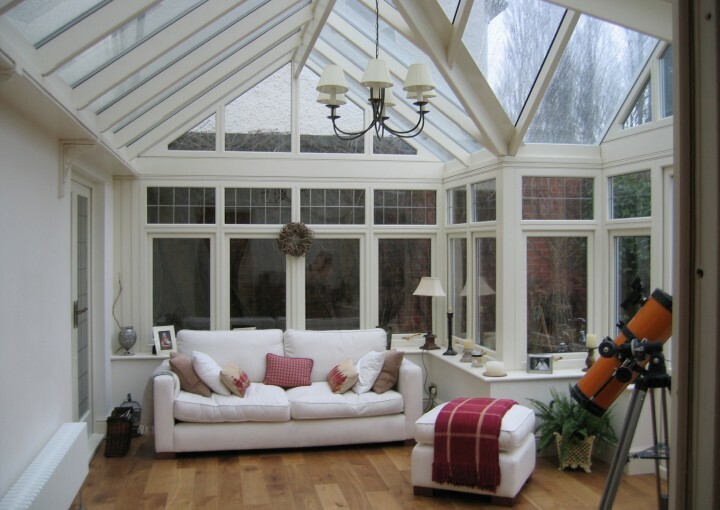 Whilst also being able to keep the conservatory well insulated in winter and maintain its great looks with a special stay clean coating.